Although I'm not a teacher librarian, I have immense admiration for all librarians. We also share mutual interests: children’s literature, matching kids to the right books that will help them love reading, and hundreds of other issues related to children’s education. 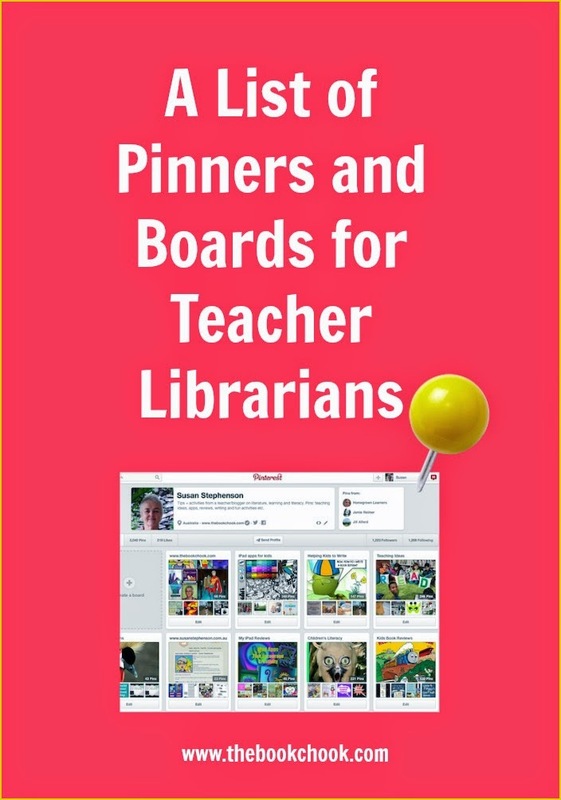 So I tend to look for and share resources my teacher librarian friends will appreciate. I’ve been gathering boards and Pinners on Pinterest that I think make great people for TLs to follow there. There are many more, but I want to keep the list manageable for my time-poor friends. I’ve used Listly to curate this List and it will be updated whenever I find another “must follow”. Sadly, you now need to be a member of Pinterest to even browse Pinterest pages, then go on and find great resources, and save them to boards of your own. You don’t need to belong to Listly to look at Lists, just to make your own. However, I have found both Pinterest and Listly worth joining, and use them both not only to curate my own resources, but to find new ones. Glad you liked them too, Michelle. Definitely worth following and seeing their pins pop up in your home feed.